After making it to the halfway stage undefeated, Fenerbahce will find that teams will be double determined to defeat them and Panathinaikos will be the first team to have a crack in the second half of the Top 16. The home fans in Athens will be expectant of a victory that could blow Group E open once again. With a 4-3 record in the Top 16 and a 10-7 record for the entire season, it is fair to say that this hasn’t been the best campaign for the Athens side. However, there are new players in the squad with the team being active in the recent transfer window. MarQuez Haynes has come in from Sassari and Elliot Williams arrives from the US and a career that includes over 100 NBA games. These are big additions to the Athens squad and it may well be that Panathinaikos are ready to make much more of a fight of the second half of the Top 16. 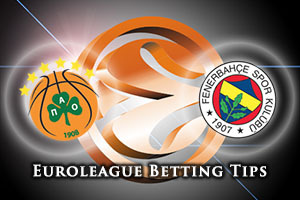 Can Fenerbahce keep their winning run in the Top 16 going? What can you say about a team that achieved a 7-0 record in the opening half of the Top 16? 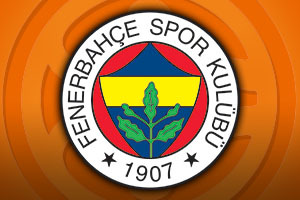 Fenerbahce have been in brilliant form but they know that it is only going to get tougher from here. Players like Jan Veseley and Ekpe Udoh have been standouts week in and week out so far this campaign but with teams desperate for points, you would think that the Turkish things will find things harder in this part of the campaign. However, they should have more than enough about them to remain near the top and this game could genuinely go anyway, with a lot riding on how the new look Panathinaikos settle. The bookmakers are going with the home team, who may find a new lease of life, but you have to take Fenerbahce Istanbul at +3 with odds of 1.90, for this game. When it comes to the Over/Under market, you should look to go OVER 151.5, which is on offer at odds of 1.90. Bet Now!